David Heffernan (Green 2013) has been asked to train with the USA Olympic Rugby Team. 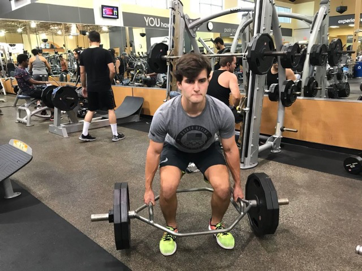 David applauds his coaches (read: Mr. Monks!…) "I would say my middle school and high school rugby coaches have inspired me to be the best version of myself.” After graduating from St. Thomas HS in 2017, David attends Texas A&M Engineering Academy and plays with the West Houston Lions. Along with his parents, John and Nadine Heffernan (our Events Head at WA), best wishes to David in the coming months!